The Hall sensor is timed fairly accurately relative to the camshaft. I am not sure that the Hall is the reason for the delay in the engine firing, that is more likely the EZK sorting out where it is relative to the gap in the teeth of the timing ring (flywheel). If the flywheel speed sensor fails, then the EZK uses the Hall signal to give a "get you home" spark timing, although this is not as accurate as the flywheel sensor. On my EZK test jig, if I am testing an EZK ECU and I switch off the Hall signal, then the ignition retards by the expected 6 degrees at high loads/rpm. If I then switch on the Hall signal, it still stays retarded. If I switch off the ignition, and on again, with the Hall signal restored, then normal timing is resumed. I will remember your experience.....we are all on a learning curve about the mysteries of the 928's electronics ! 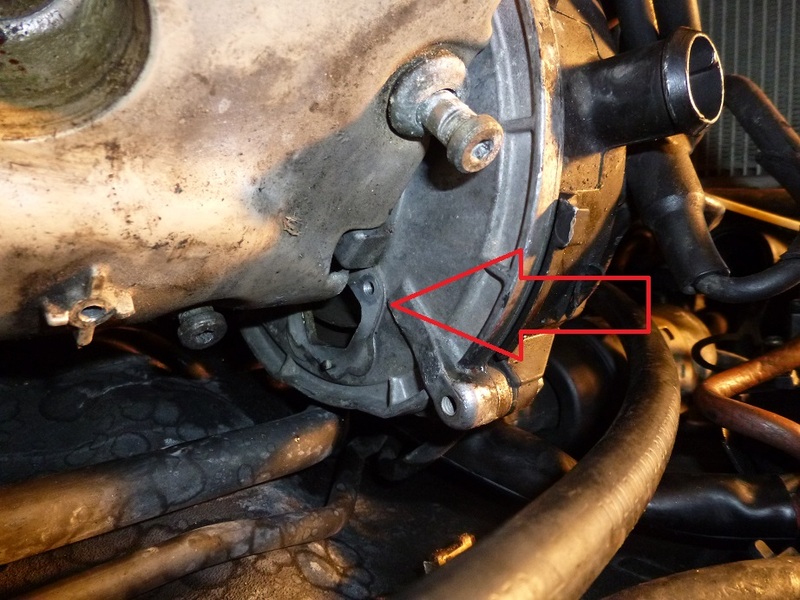 "If the flywheel speed sensor fails, then the EZK uses the Hall signal to give a "get you home" spark timing, although this is not as accurate as the flywheel sensor." Actually. once the flywheel sensor fails, the engine will die as there's no information from the Hall sensor to keep the engine running other than a TDC for a certain cylinder, or a relative engine timing position versus the cams. Furthermore, a Hall sensor is really not needed to determine which cylinder needs to be retarded because of pinging, but Porsche decided to use it for this purpose on the 928. A Hall sensor (cam position) is really only needed for sequential injection. 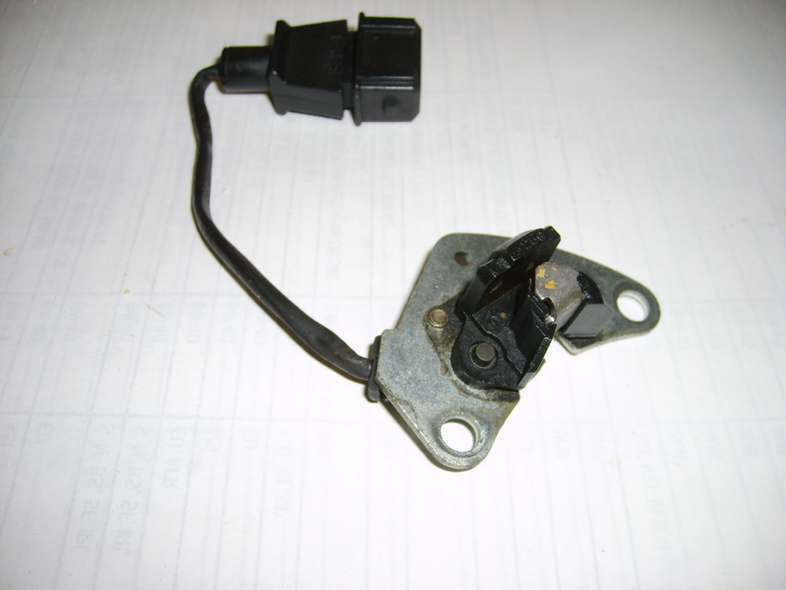 Even for direct ignition, the ECM can determine the proper timing relative to a TDC crank sensor. "I had heard of another instance where the Hall sensor fault was not cleared by a battery disconnect." There's NO non-volatile memory device in either the LH or the EZK ECUs. Thus, once the battery voltage is removed, both ECUs lose their faults. The fault codes are stored in an SRAM (volatile memory) in the diagnostic ECUs. The codes are maintained by a permanent battery supply. In most cases, the codes can be cleared by a battery disconnect. The only case contrary to that, which I am aware of is the Airbag controller of the 928 which requires a diagnostic tester to clear the stored fault codes. If the sine is fixed at 60Hz despite of rpm of the car, you are looking at background noise from the 110v electric circuits. If it is related to the rpm of your car, that will make me reconsider :) It is possible that some Bosch sensors have a signal amplifier and shaper to produce that nice (digital) square wave form. I can't tell for sure. 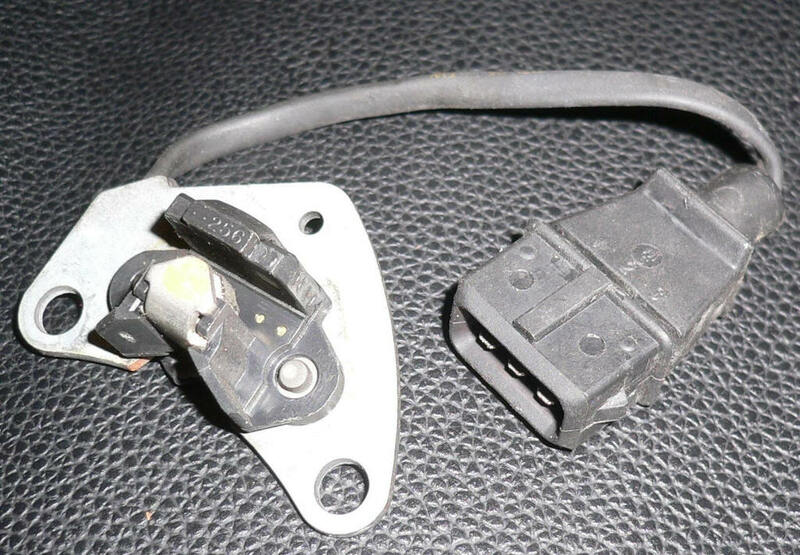 Your 928S4 has +12v from the EZK going from pin 5 to the sensor on pin 1, and has ground from the EZK pin 4 to the sensor pin 3. EZK pin 22 is the signal output which is shielded by the ground connection. The sensor conducts when the marker passes, and switches the +12v to ground. 12v could also be 5v, not sure about that. That is how I think it works. I'd say it does not have an active circuit inside. The pin 2 is obviously the output. Be aware that since the sensor is in the car, it might become active when you use your voltmeter (current induced) and the result on pin 2 (ezk 22) may become different. I'm not always correct, do not pretend to know everything, so please see my idea's as suggestions. But I do know my way with electronics. The transition is never smoothly ... It just switches maps. Both EZK as LH. But the EZK will hang on to a retarded -6 degrees whatever rpm and map position you're at. That is how I think the system responds. The EZK is a bit unclear, but the LH superimposes criteria over a base map. These super-imposed conditions are fuel mapping corrections. Can't help with that hall sensor replacing. I've never done it, but it seems in a very tight spot. The Hall sensor allows the knock sensors to work. 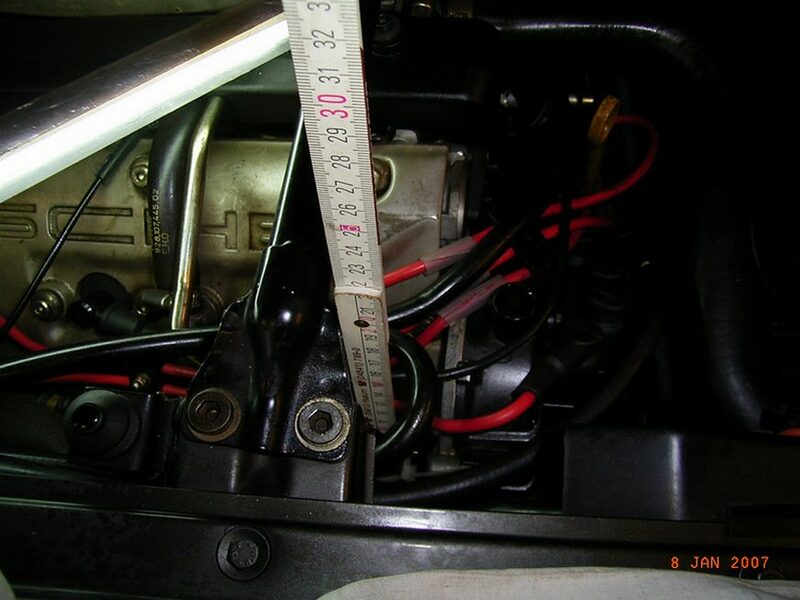 The crank sensor tells the ECUs where the crank is - on every revolution. This means that the ECU doesn't know when the cylinders are firing and when they are on exhaust. The Hall sensor tells the ECUs where one cam is. This enables the ECUs to keep track of individual firing events. The ECU calculates cylinder location from waveforms received by both knock sensors. This allows the EZK ECU to retard ignition on individual cylinders. The system doesn't work in groups of cylinders. My understanding is that if the Hall sensor or either knock sensor is faulty, the entire system dies, and the timing is automatically retarded. Perhaps one of our ECU experts will correct this if it is wrong. No... 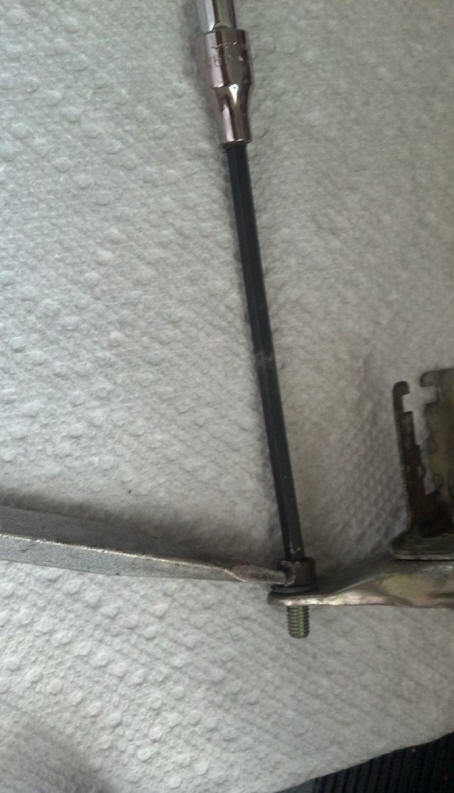 I did not have to remove the lifting eye, it was flexible enough to work around.....pulled it toward the fender to get the screw out and then pushed it against the engine slightly twisting it counter clock wise to remove the sensor. The hook is very soft metal its pretty easy to move it around. The metal is not spring steel so when you move it ...it stays put. I would assume bending it many times would cause it weaken.... but that is not required for this task. You should remove the one spark wire holder ...one 8mm nut and a allen screw. This is the holder on the valve cover. 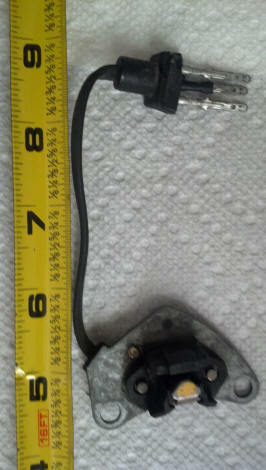 You should also remove that 10mm nut on hook holding the wire harness and grounding the ground wire. I created a allen wrench by cutting the long part of a allen wrench off and stuffing it into a 4mm 1/4 inch socket. I attached that to a 12inch extension....this gave me about 16 inches of extension point straight back. Avoid using a universal link....it will only cause you problems when turning. Like I said the vertical hammering on the screw while applying twisting force is the only way you can get enough break force on the screw if your head are rough like mine. Ahh one more detail.... i used a vacuum hose connect to a can of penetrating oil to clean the grime out of the screws before sticking the allen wrench in the hole....this will get you a tiny bit more bite on that head. Mine were filled half filled with grim. I have a Hall and a Crank Position Sensors whose plastic connectors disintegrated and I have not taken notes of the wires positions. Now I have new connectors to repair them, but don't know the wires positions. 1. Hall Sensor (male) connector. There are three wires coming from sensor: Black, Green (middle) and Red. Which side I place the Black and which side the Red. 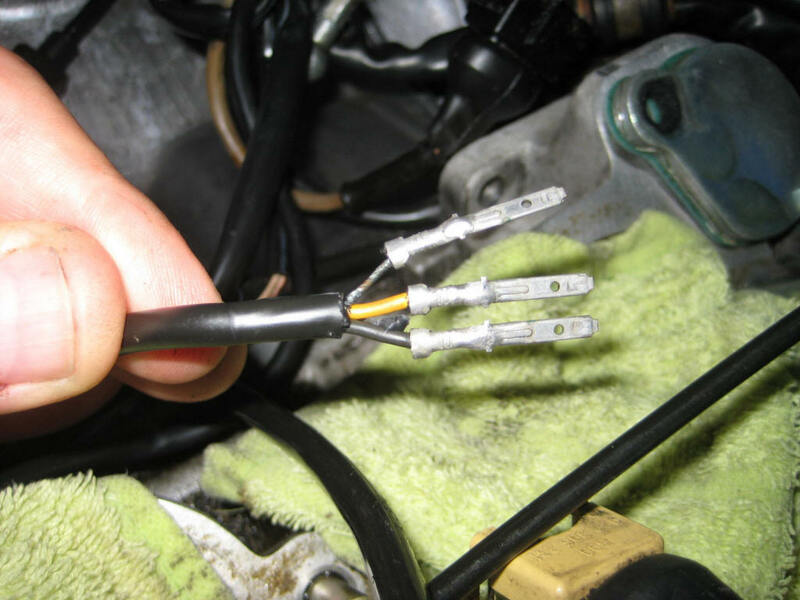 I tried to remove the rubber part of the harness that is in its matching connector in the car to see the wires color, but it is not coming apart and will disintegrate if I try. 2. Same question for the Crank Position Sensor. This one has one Black, one Yellow or Orange (believe this is in the middle) and one thin black or silverish. Which side to install? If you bought your 3 pin plug housing from Roger, then it has numbers on - in the view in your puicture pin one is RHS, 2 in the middle, 3 on LH . Look carefully are the wire end of the connector and you will see the numbers. Hall sensor has Red to pin 5 EZK, Green to pin 22 & black (screen) to pin 4. Unfortunately the circuit diagram doesn't give the plug pin numbers. Yes, I bought the parts from Roger and I can see the tiny numbers now. Thanks for the help. But , if this is the CPS but has the wrong wires colors, any hint on how to place the connectors? For my 89 I replaced all female connectors (and replaced all sensors). Knock sensors and impulse sender: black, red, white. Hall sensor: black, white, red. Black was what John calls a screen. Just as it appears on the print.